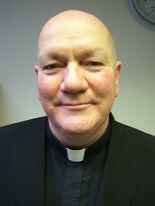 Following his ordination to the priesthood in 1981, Fr Brian has given more than 25 years of service to the priesthood in the Archdiocese of Birmingham. During that time he has served the parishes of, Ss Mary and John, Small Heath, St Austin's, Stafford, Our Lady of Mount Carmel Redditch, and, Ss Mary and Modwen, Burton-upon-Trent. He has been serving St George's since 2007. In 2017 he was appointed an honorary Canon of the Chapter of Canons of the Archdiocese of Birmingham by Archbishop Bernard Longley. Fr Andrew joined the community of St Michael's Abbey, Belmont in 2004. After completing his presbyteral studies at St Mary's College, Oscott, Fr Andrew was Assistant Novice Master before taking pastoral responsibilities of Our Lady and St Joseph, Alcester. He was appointed parish priest at St Joseph's in August 2016. For the last 10 years Fr Ron has been serving at St Joseph's, Darlaston. He has come to Worcester to enjoy his retirement from active ministry.